One thing I’ve learned: joy is contagious. And one of the best ways to proactively fill up on joy is to give it to someone else. One evening I caught that contagious joy in the McDonald’s drive thru of all places. I had dropped my kids off for Wednesday night activities at church and needed a diet coke before starting my own Bible study. As I pulled up to the McDonald’s window, I felt God prompt me to pay for the order of the car behind me. Now we had done this kind of thing all through December. We call it the Days of Joy Project. It started four years ago, after Dan died and we were staring at what should have been the happiest time of the year while our hearts wrenched with grief. We desperately needed joy. I needed something to help us put one foot in front of the other; to do more than just make it through the holidays. My heart was so crushed, the gnawing hollowness so persistent – I wondered if I’d ever feel the warmth of joy again. That’s what our December needed. To capture joy by giving it away. So we started the Days of Joy Project, looking for ways to bless others. We set out cookies and a cooler of drinks for the garbage collectors. We packed bags for the homeless and spent an afternoon ringing the bell for the Salvation Army. We made dozens of cookies, the only homemade goodies some prisoners would get over Christmas. We took coats and mittens to a collection and hot Krispy Kremes to our firefighters. But when I turned into the MacDonald’s, it was no longer December. The Christmas decorations were packed up in the attic and we’d returned to our regular school and work routines. The Days of Joy Project was over. 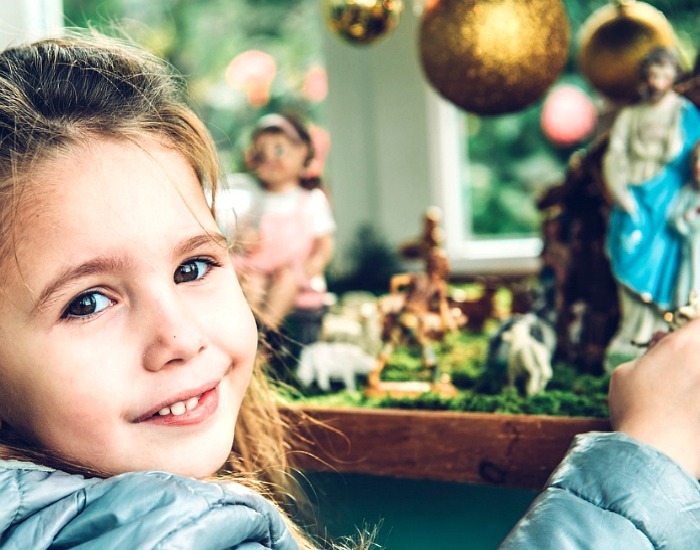 But, of course, surprise acts of kindness aren’t just for Christmas, though that’s when our family gets intentional about it. And when I sense God’s prompting, I’m learning to listen. So I paid for my diet coke and the order for the car behind me and headed back to church. That’s when the real joy started. As I pulled out of the MacDonald’s and waited for the light to turn green, another car pulled up beside me. Window down, a woman beamed at me as her children leaned forward from their seats with excited grins and MacDonald’s bags. 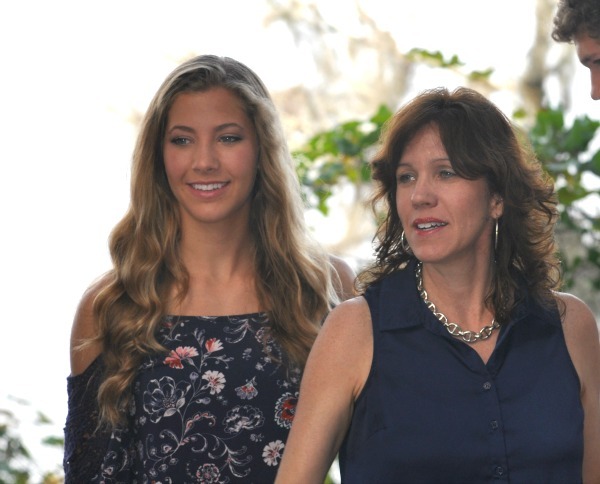 This mom could not get over that someone had paid for their meal. The light turned green and they went straight as I turned. In the silence of my own car, I realized immediately: I was smiling. Not just with my lips but my whole heart. I was filled up; warm and bright on the inside. And I saw – joy is contagious. And something else – God compounds the joy we give. In the economy of God, my small gift had been returned and multiplied. While blessing others in our brokenness doesn’t cure the pain, it comforts the places that hurt. While grief pulls all my thoughts and focus inward – so needed to process the emotions – giving away a bit of kindness turns my thoughts outward, to the needs of others. 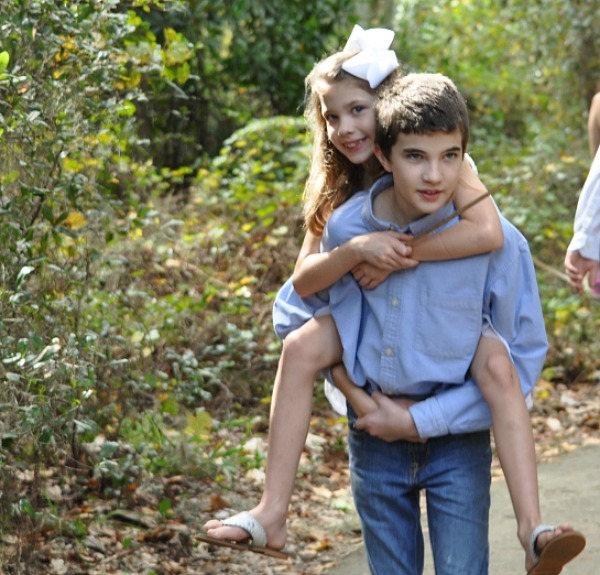 And when grief threatens to keep me paralyzed at home, giving away a bit of happiness gets me up and moving. 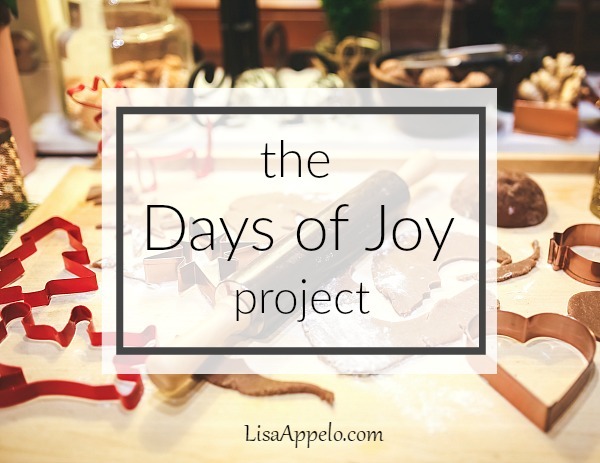 This year, we’re just now starting the Days of Joy Project. We’ll sit together later today and brainstorm all the ways we aim to bless others this season. My youngest two are getting older and coming up with their own ideas. With the busyness of December, I have to be very purposeful to plan it out or I’ll miss it altogether. For encouraging posts delivered right to your inbox, you can subscribe here. 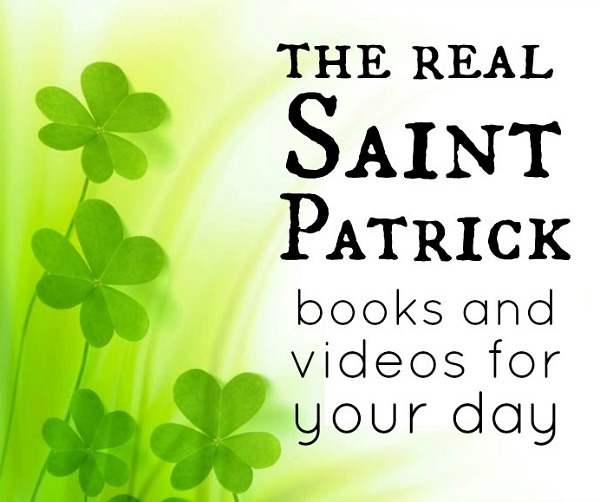 And when you sign up, I’d love to send my free 100 Days with Christ Bible study & journal. I’ve always loved the week between Christmas and New Year’s. I love the quiet days without any bustle of activity and still marked by the lingering effects of Christmas. It’s a week of looking back at the year that’s been and looking forward to the year that’s approaching. This is the time I usually figure out finances and make a to-do list for the house. I sit down and think about what I want to do next year, what it will hold, the changes I want to make. 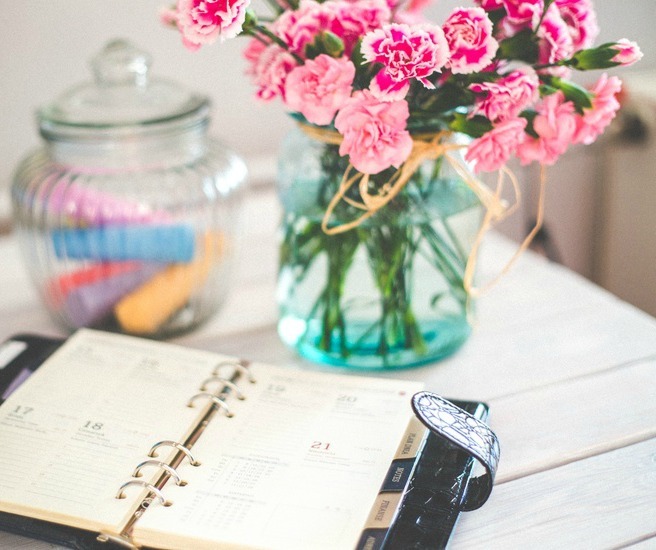 I’m not really a resolutions girl but I do love to make a list of big dreams and envision goals and changes, additions and deletions for the next year. And I listen for God’s direction to focus on one thing. That’s how this week feels to me. These slow days let me look back over the year we’ve had: its difficulties, celebrations, familiar routines, new opportunities, daily provision, unexpected blessings. But this week is also a look ahead to next year. What might it hold? What do I need to change? What projects do I need to tackle? Where will my kids be? 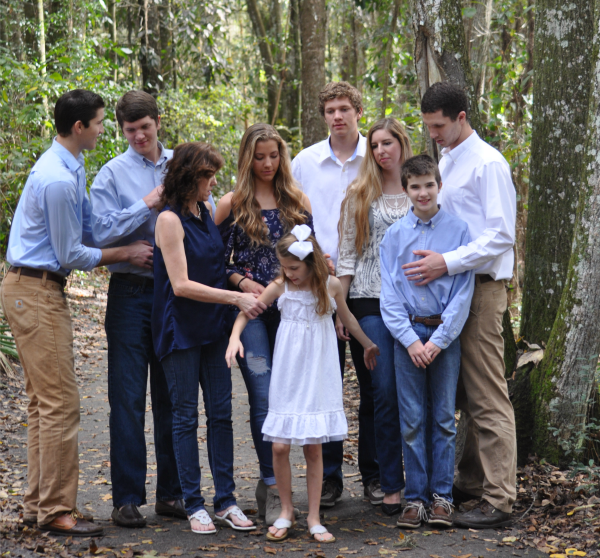 What are my goals spiritually, personally, professionally? This is the first year I’ve not used a paper planner. I used to love sitting down with my iced tea and calendar and reading back through its entries. It really helped me remember all that had made up our year. Sometimes, only after flipping through the weeks and months could I see connections between what I was praying or hoping and the doors that God opened and shut. I miss doing that and I’ve already determined to get another hard copy calendar for 2016. Looking back can be a bit dangerous though. It’s easy to look back and wish things were like they used to be. Especially if we’re in a place of huge change or huge difficulty and life has taken twists we never expected. But that’s a form of comparison and it always leaves that glass half-empty slump. But as believers, there is a right way to look back. Over and over again, we’re instructed to look back to remember all that God has done. We look back to God in thankfulness. We’re also to look forward. To go with God. To step into the things He’s planned for us. Which is exciting and scary. Here we are at the precipice of another year and really we have no idea what it will hold. We make plans and envision goals, but every blank square on that calendar is subject to God’s sovereignty and His direction. 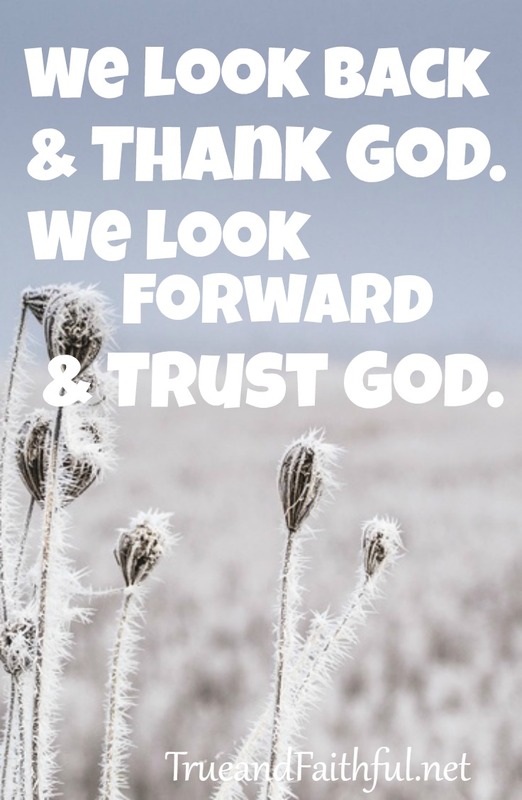 We look forward to God in trust. 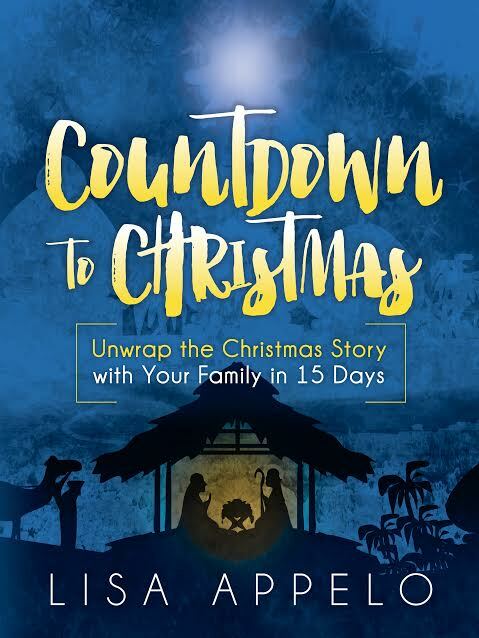 When I was writing the Countdown to Christmas book, one central point kept hitting me hard: so many people missed the birth of Christ. Here was THE most stunning, world-transforming event of all time and the world simply went about its normal routine. I imagine the newborn King of the universe in the stable, quietly tended by Mary and Joseph, while the Bethlehem housewives ran their errands and the merchant men set up shop for another day in the bustling town. While the Word made flesh filled a crude manger, Levitical priests served in the temple long absent of God. That’s why I love Christmas. For an entire month, we set aside the routines of life and focus on Jesus. The carols, the lights, the celebration all point to THE most stunning, world-transforming event of all time. God would dwell among us and do what we are helpless to do — save us from our sin. I don’t want to miss that. I don’t want to anticipate Christmas all year and then overlook my Savior. That’s why I love to use manger scenes and decorations that keep me focused on Christ. I have to be very purposeful or I can easily let the errands and shopping and baking of the season completely eclipse Jesus. 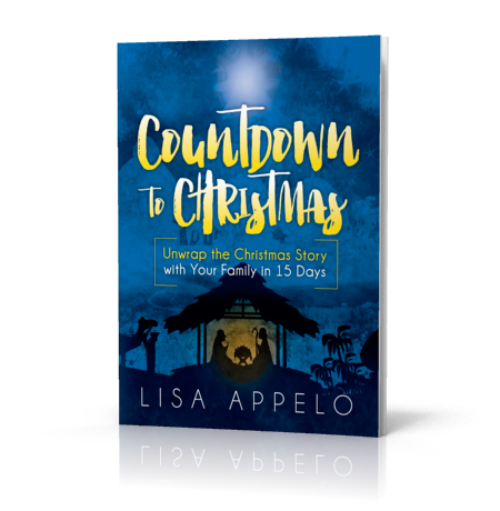 Today, I’m super excited to share some gorgeous decorations that help families focus on Christ. The Adornaments are a beautiful way to point to Jesus at Christmas. 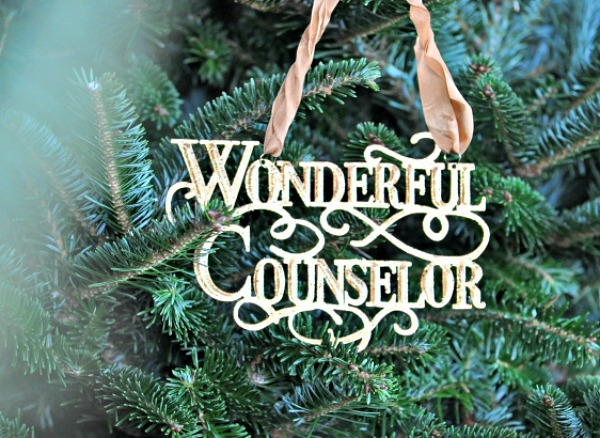 These ornament sets were created by Barbara Rainey (of Family Life Today ministry) and her team at Ever Thine Home. They are beautiful and sturdy, designed to last for years and be handled by little hands. These would make a great gift! I actually think they would be lovely worked into a wreath or table setting as well. 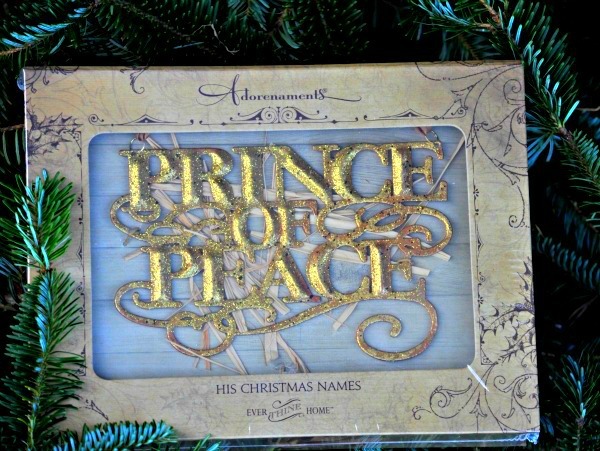 There are 3 sets in the Adornaments collection: His Savior names, His royal names and His Christmas names. Each set has seven ornaments that come in a keepsake box along with a devotional that gives the scripture and a short reading about each name of Jesus. 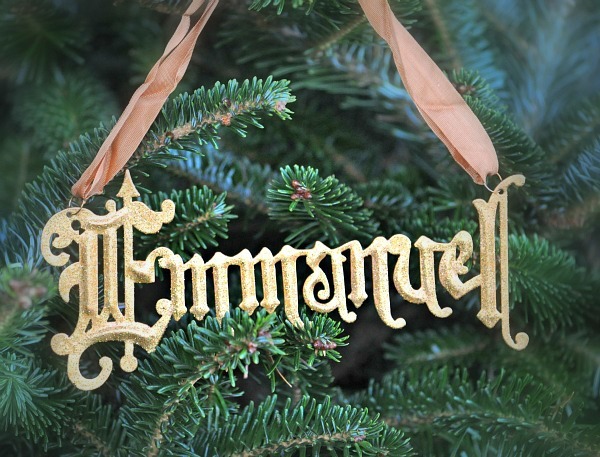 What a great way not just to adorn our house with the names of Jesus but to also teach our kids their meaning. And I’m delighted to be able to give away a set of Adornaments, His Christmas names, to one of you! I want to make this a fun entry, so leave a comment with one of your favorite Christmas carols. You can enter through Friday at midnight and then I’ll send these right out to the winner. You can see the entire Adornaments collection here and order from either Ever Thine Home or from Amazon. Thank you to Ever Thine Home for a set of these ornaments to review and another set to give away! UPDATE: We have a winner! 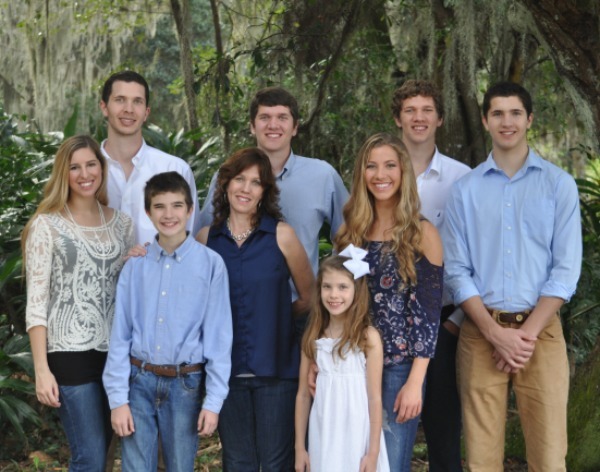 Congratulations to Julie F.!